Éclair Nov 01 2016 4:05 pm Aishiteru!!!! Nyaa~!!!! Nico Nico Ni!!!!! Anata no harutto nico Ni!!!!! sweety Jun 16 2012 6:22 am Hi shirnomi My friend vani is great.....fan of u &me 2. She always thinks and speaks about your style, attitude,kauri, your fight etc... in our school.she thinks u as her close best friend as i think kenji as my bestt...friend and u also .U really well done .U have many fans in our india.We r extremely crazy about ryukendo series..We r enthusiastic 2 watch it for some more time.we never feel bore watching ryukendo series more in xd .Thanks xd 4 introducing marvelous series ryukendo. trijya Jun 15 2012 11:10 pm Kouhei kuroda awesome. Abhishek Jun 10 2012 1:51 am Shiranami we just adore you here in India!!!!!!!!!!!!!!!!!!!!!!!!!!!!!!!!!!!!!!! You've got your biggest fans here, we love you as much as people love you there in Japan!! ^_^ Madan Senki Ryukendo show just rocks!!! manya Jun 03 2012 12:56 am you are so cute and handsome. when you smile you looks so beautiful and handsome. you are my dream boy. please keep smiling. i love you more than anyone else in the universe. please contact me and please come to india. Shreya May 30 2012 1:23 am you are extremely cute and i luv you from head to toe. the show has higher TRP only bcoz of you. seeing you makes my day extremely lucky for me. your the only one i would think of evry day i get up frm my sleep. i really really really luv u a lot. last but not the least the episode 29 of Ryukendo when you were smiling i felt like i was taken to heaven by angel. you are a real heartthrob. if you don't mind me saying this then: I LOVE YOU!!! Konzo Dan Mar 18 2012 8:43 am Nanyoto ZanRyu?! Emily Feb 28 2012 4:01 am amazing ryujinou!!!!!!!!!!!!!!!!!!!!!! love u dearly!!!!!!!!!!!!!! marry me!!!!!!!!!!!!! 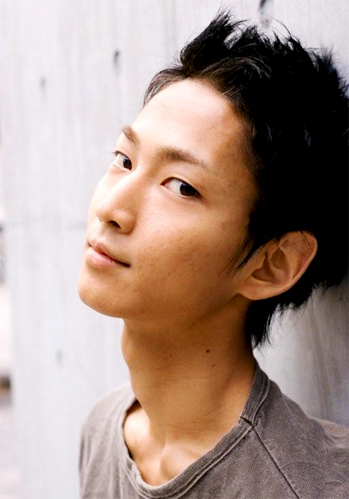 trijya Feb 24 2012 9:54 pm Kouhei Kuroda is very handsome and cool. LISA Feb 16 2012 9:55 am yes! rin is very good. maria Feb 16 2012 9:54 am HEY!why do u fell in love with kaori San? she is much more cute than kaori. QP Oct 07 2010 1:13 am ryujinnou rocks!! !